Strapping Tools - Heavy Duty Strapping Tensioner for Steel Strapping 3/8 - 3/4"
Home > Strapping Tools - Strapping Tensioner for Steel St > Strapping Tools - Heavy Duty Strapping Tensioner for Steel Strapping 3/8 - 3/4"
Product: Strapping Tools - Heavy Duty Strapping Tensioner for Steel Strapping 3/8 - 3/4"
A steel strapping tensioner is used to manually tighten steel strapping around palletized product. The steel strapping is loaded under the feedwheel of the steel strapping tensioner and the operator move the lever to tighten the strap. This type of steel strapping tensioner requires that the load be flat and that the strapping be secured with a metal seal. 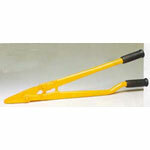 Steel strapping is used to palletize very heavy loads that cannot be handled with plastic strapping. The longer the lever the more tension can be placed on the steel strapping. Brass tools have the longest life and the feedwheels replaced. 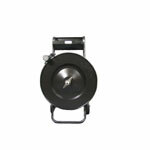 Please ensure that the tensioner you chose will match the strap size you require. 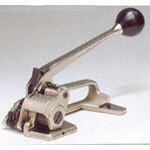 At Boatman Marking we have a variety of steel strapping tensioners and tools for a variety of applications. 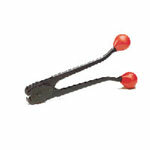 100206 Strapping Tools - Strapping Tensioner for Steel Strapping 3/4 - 1 1/4"
100205 Strapping Tools - Strapping Tensioner for Steel Strapping 3/4 - 1 1/4"